#25 what Sunday’s are made for! Sunday’s were made for Stitching & relaxing! Every Sunday the boy & I spend the day watching films whilst doing our crafty hobbies! You all know what mine is! His is to put together & paint Warhammer models. So Sunday’s are usually a very crafty day for us both. 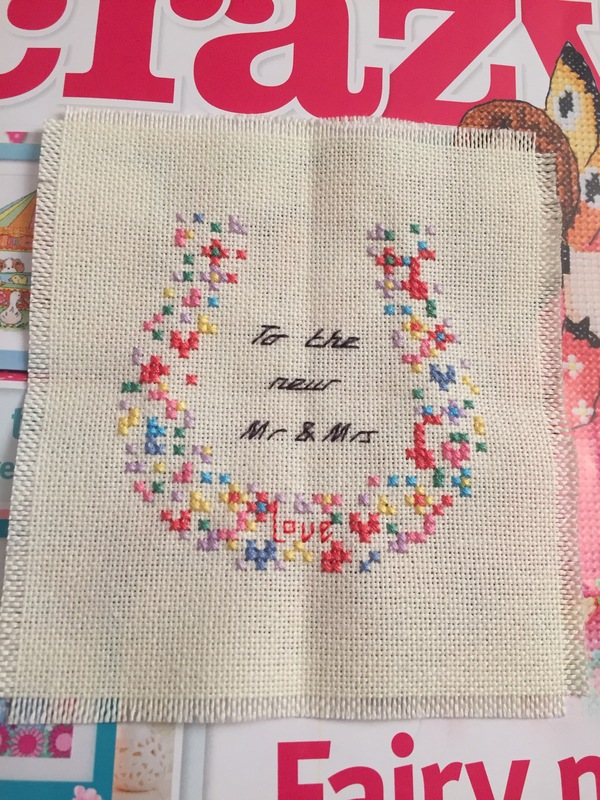 Secondly, I need to stitch a card for a wedding I’m going to later this month. 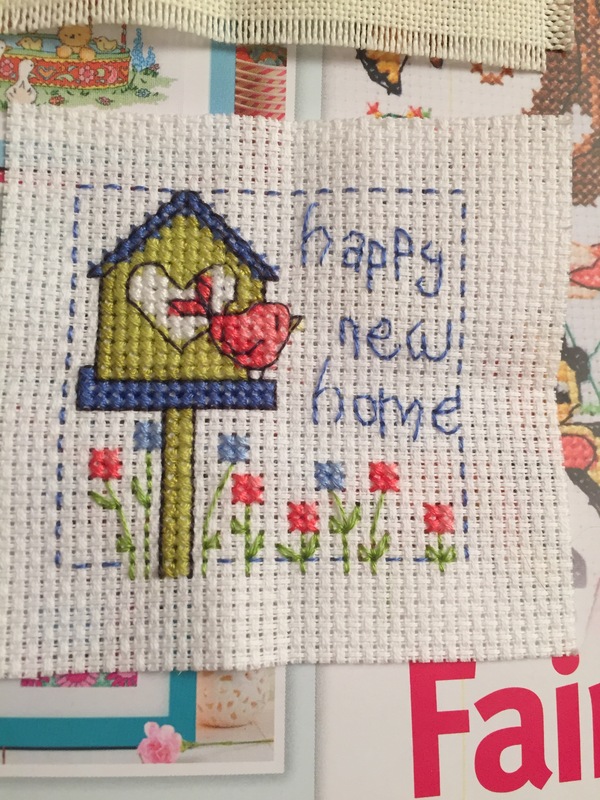 After Umming & arrrring I decided on another little design from a Cross Stitch Crazy magazine issue 205. I decided to put this one on Evenweave. I’m fairly new to Evenweave but I’m starting to prefer it over aida! 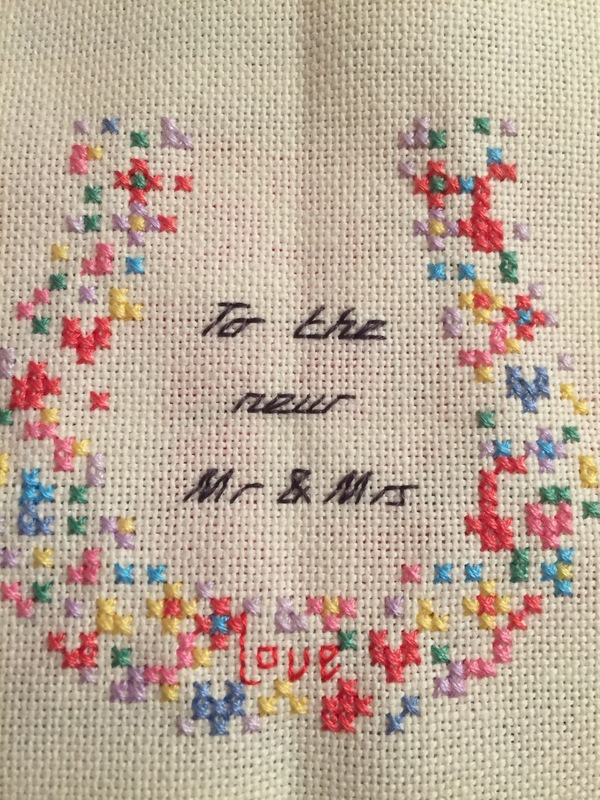 In hindsight I would have put the happy new home pattern on Evenweave as the wording was quite difficult to stitch on aida. It was also my first attempt at fraying the edges… I’m happy with how it’s turned out! I hope you’ve all had a good weekend & not feeling too blue that it’s Monday tomorrow!